Geylang Clay Pot Rice – Singapore – What’s all the hype about? 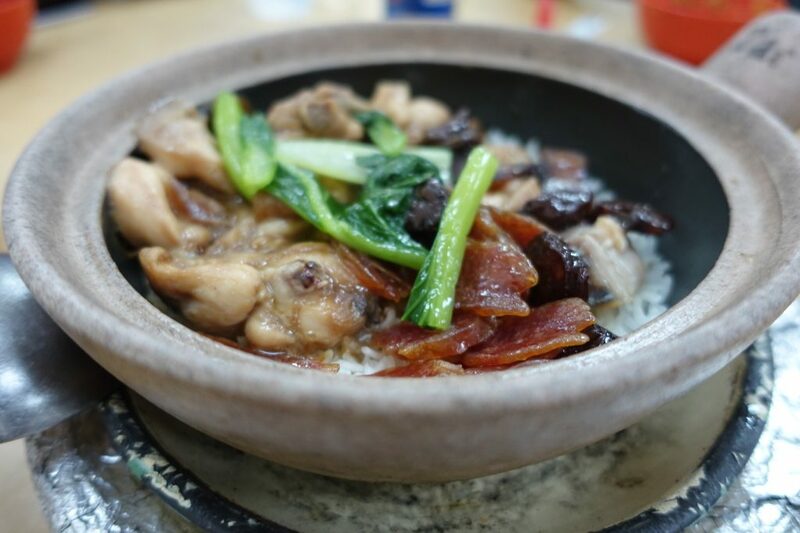 With thirty years provenance and a reputation for having some of the best clay pot rice in the Singapore, it was a no-brainer to come and see what the fuss was about. 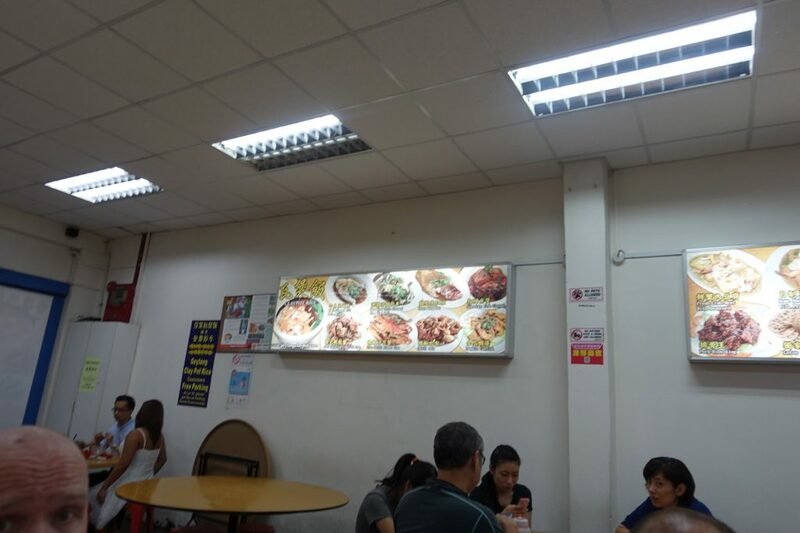 Geylang Clay Pot Rice is a family run canteen style hole in the wall clad with plastic chairs, tiled floors and mostly circular tables big enough for 4-6 diners. It’s not a place for glad rags that’s for sure. Clay pot rice is a wait of up to 30 minutes if you didn’t call in advance so I’ll recommended doing so if you’re in a rush. Popular dishes are displayed on the walls and our waiter uses them to up-sell. 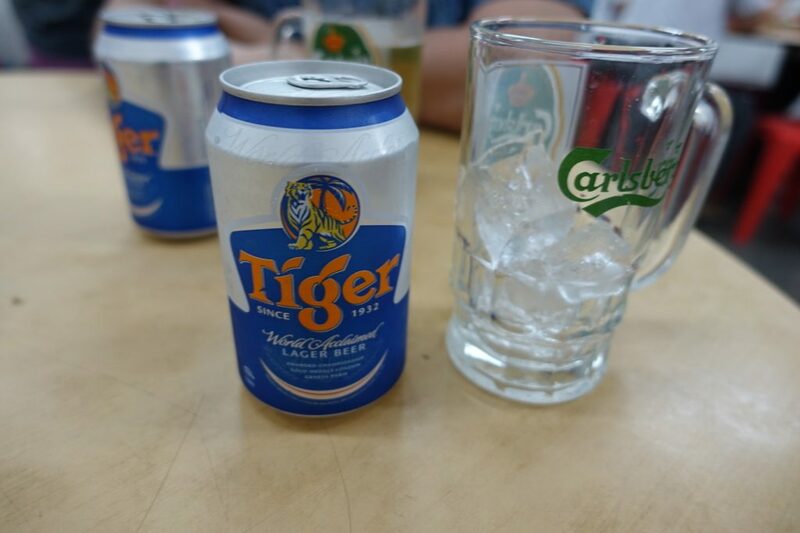 Only a local beverage will do. 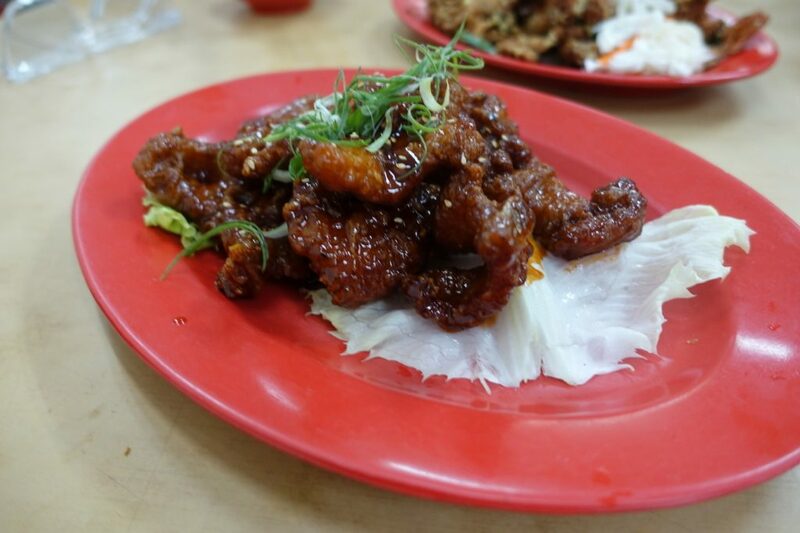 Pork king rib $12 (small) are fried and are glazed in sour and sweet sauce – we scoffed them without hesitation. 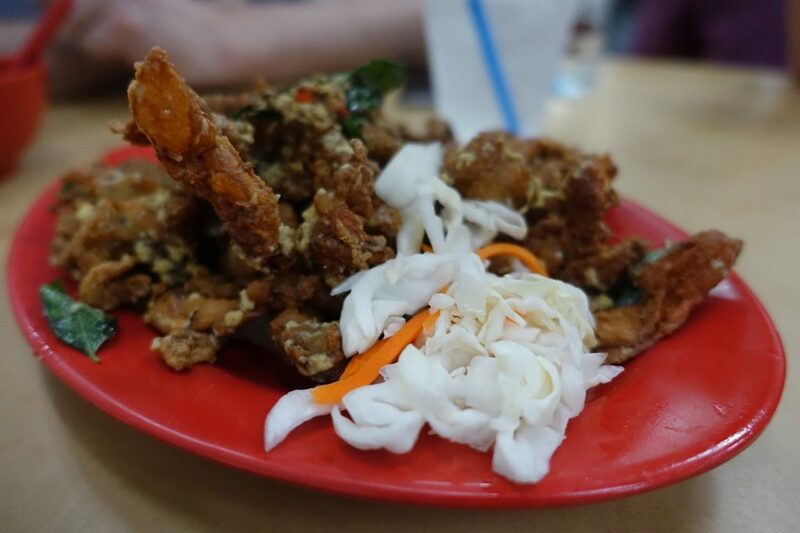 Thai-syle soft shell crab $18 going hand in hand with the cold tiger beer – they were ok, nothing to shout home about. 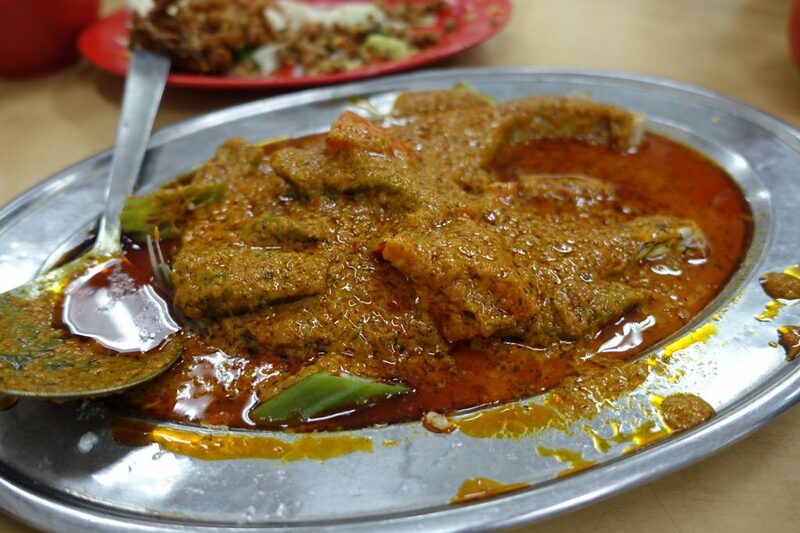 Threadfin fish $36 was coated in a viscous, Nonya sambal sauce, rich in coconut milk and punch back up again with spices. It was a delicious thing and easily the star of the show. It was gobbled up until there was nothing left on the plate. Pumpkin crayfish $36 as recommended by our waiter which were earthy morsels scooped out by hand or chopsticks from those gnarly looking shells covered in pumpkin sauce. They were oddities to say the least, especially with their flat headed wide eyed exterior. Ah and now to the piece de resistance, the famous clay pot rice ($7.47 1 x pax). The rice becomes cracker like from the heat of the clay pot which is cooked over coals. 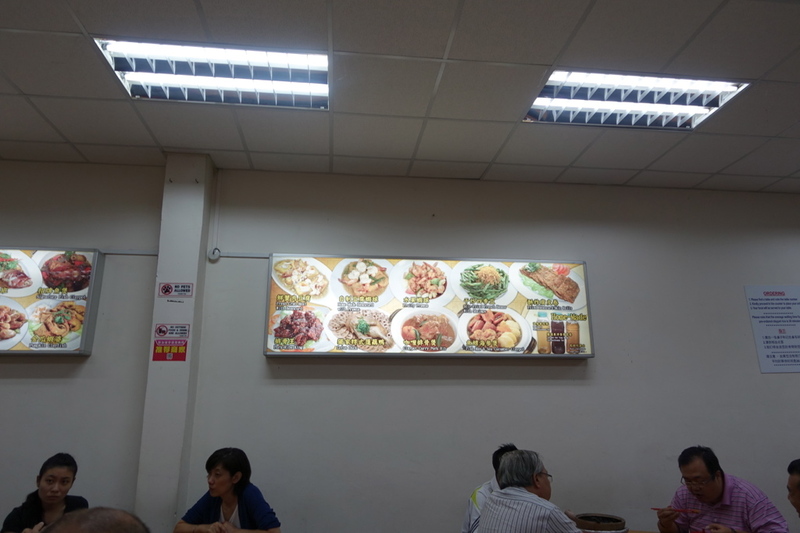 Slithers of sweet Chinese sausage and velvety tender chicken on the bone with other preserved meats were delicious, all of the above imparted their flavour into the rice. Not bad but not worth the hype. The good: It’s a fairly priced local institution with interesting ingredients which seems to be very popular (it was packed when we went). 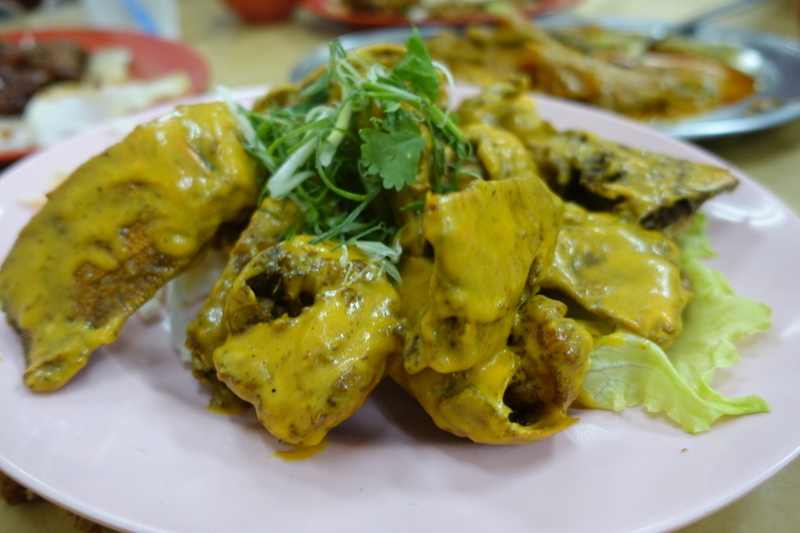 The threadfin fish with nonya curry sauce was sublime and a must have. The bad: The pumpkin cray fish should be avoided and don’t come here expecting silver service as it’s not.